If you’re a true Mardi Gras fan like us, you started counting down the days until Carnival as the ball dropped on New Year’s Eve. 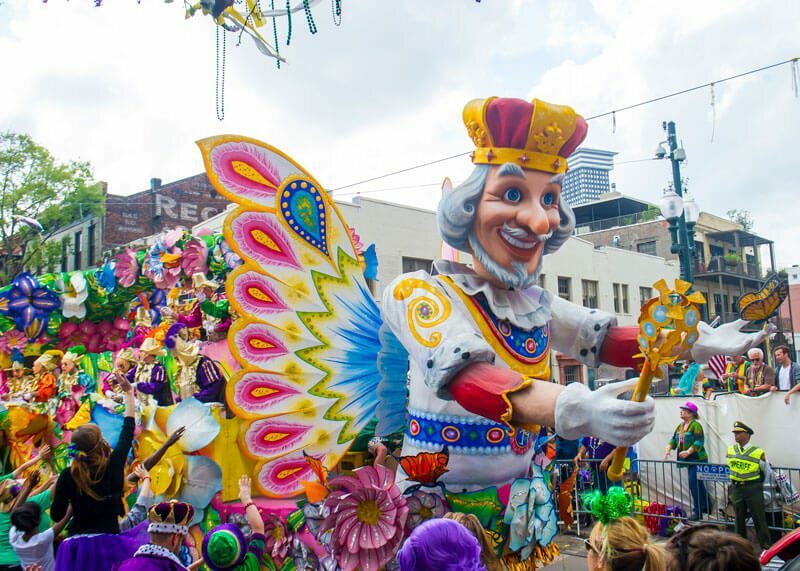 While Mardi Gras is on Tuesday, March 5, 2019, the weeks leading up to Fat Tuesday, known as Carnival season, make Mardi Gras one of the best times to experience the Big Easy. 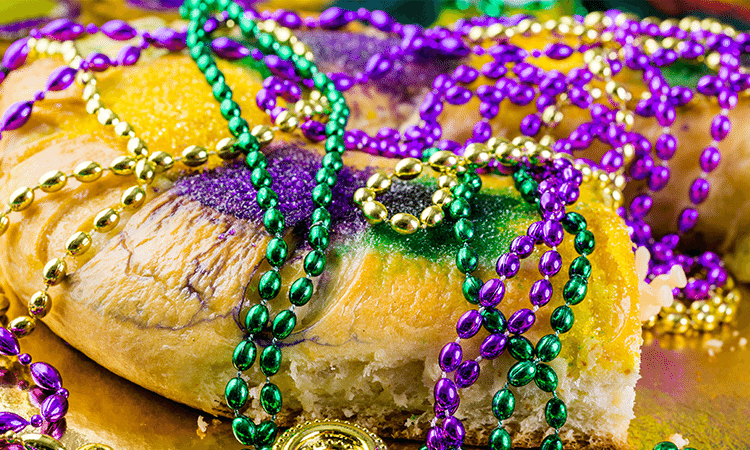 Packed with parties, parades, king cakes galore and fun for the entire family, Carnival season lasts more than a month and ramps up on the Thursday before Mardi Gras. 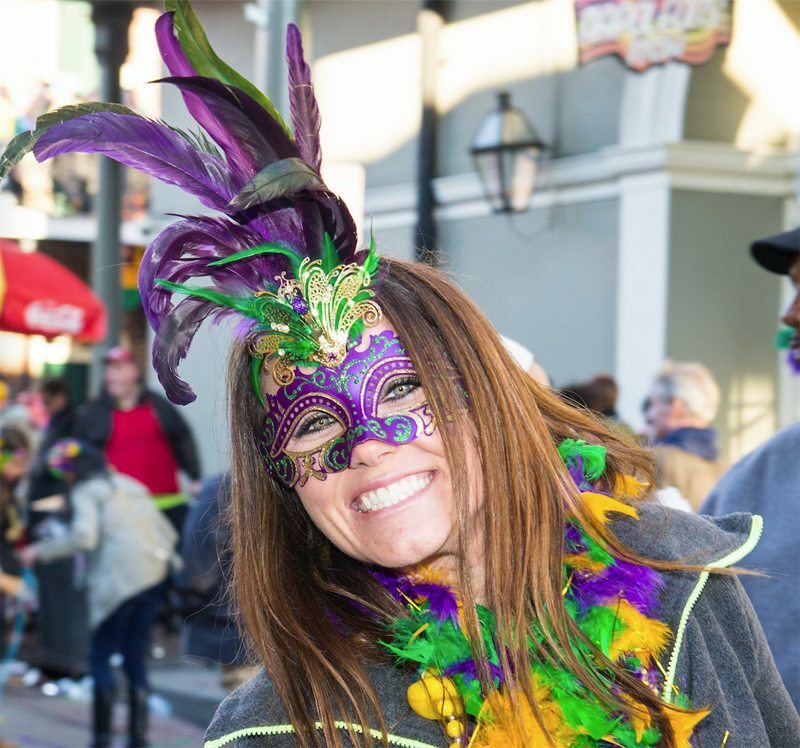 If you want to be in the midst of all the action, Mardi Gras weekend is the best time to stay. 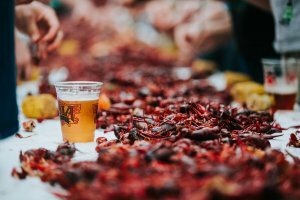 So, start planning your New Orleans Mardi Gras trip now to make sure you don’t miss a thing this Mardi Gras season. 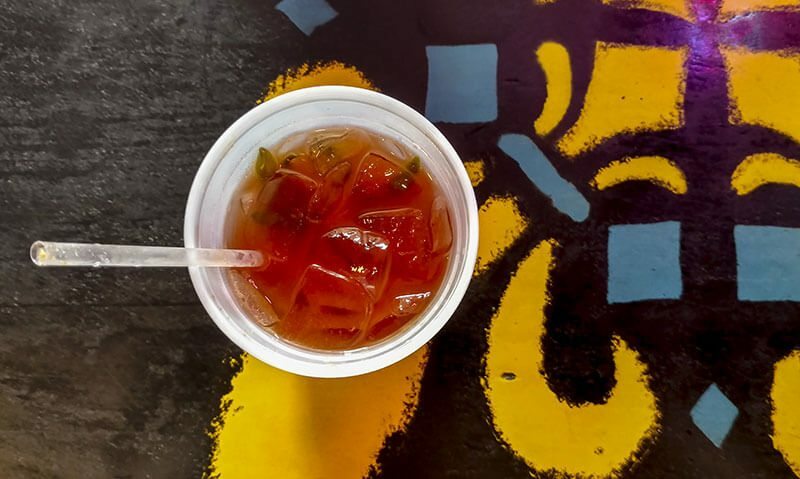 When it comes to experiencing New Orleans Mardi Gras like a local, it’s all about location. Since the majority of the action is just steps from the parade routes, the ideal New Orleans hotels are located in the French Quarter and Downtown. If you’re looking for historic French Quarter hotels that capture the timeless beauty of New Orleans and are located in the heart of Mardi Gras activities, Place d’Armes Hotel, Prince Conti Hotel, Hotel St. Marie, and French Market Inn are perfect places to stay. But you’ve got to plan ahead because the best Mardi Gras hotels book up quickly. So, make your New Orleans room reservations today to secure your spot in the middle of it all at a Mardi Gras parade route hotel like the Lafayette Hotel on St. Charles Avenue. 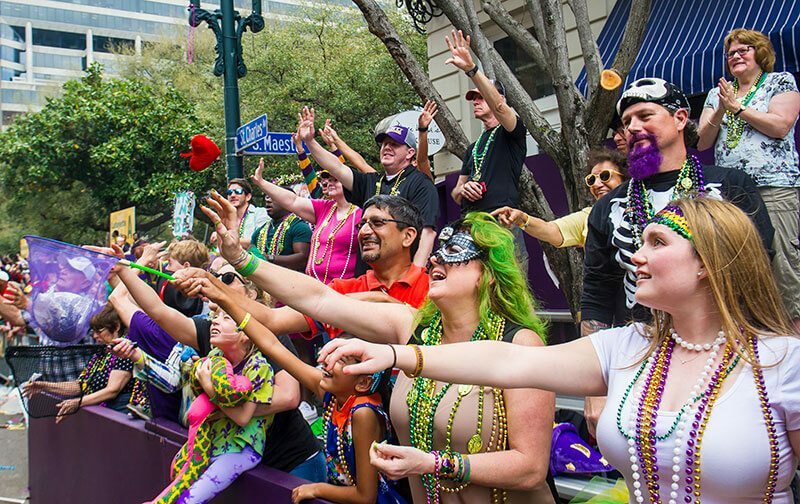 With more than 50 parades on the 2018 Mardi Gras parade schedule, you’ll want to plan ahead. 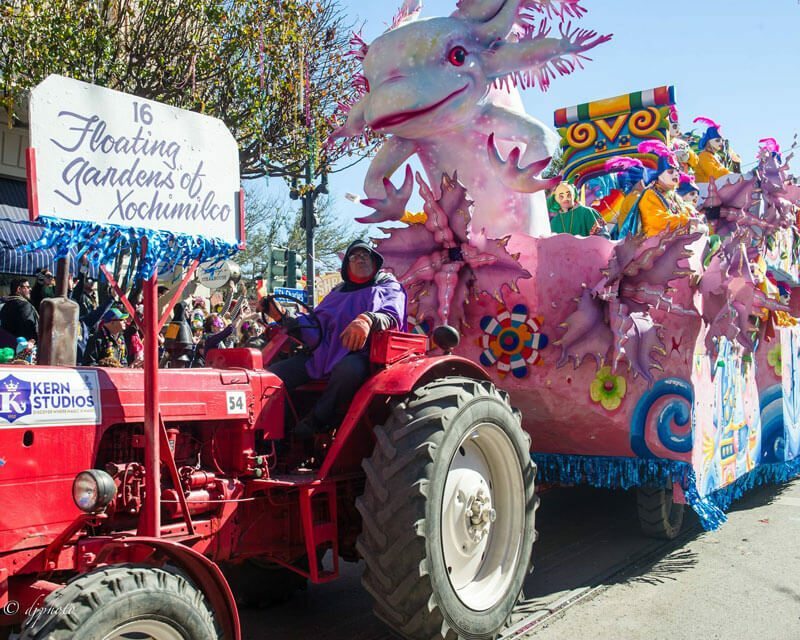 There are many different types of parades, so find out about each krewe and their theme before you make your list. There are unofficial Mardi Gras parades that start as early as February 9th. So, you won’t have any trouble finding excitement at various locations across New Orleans during Carnival time. Most people will likely be standing to see the parades, but there is an option for reserved seating. Companies offer grandstand seating on the parade route, some with amenities such as easy access to restrooms, nearby parking, food packages, and more. 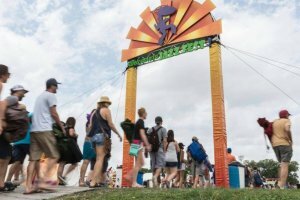 If you’ve never experienced Mardi Gras before, this could be a great option for you. Many Mardi Gras goers with children and people who don’t want to or can’t stand for extended periods of time enjoy the comfort and convenience of Mardi Gras grandstand seating. You will have an excellent view of all of the Mardi Gras parades without having to lug around ladders and chairs. All you have to do is bring a “bead bag” for all of your beads and catches. Grandstand seating is limited, so we recommend booking as soon as you’ve made your travel plans. On NewOrleansParadeTickets.com, choose between their Place St. Charles grandstand (located directly on St. Charles Avenue near Canal Street), and their Lafayette Hotel grandstand (located on the opposite side of St. Charles Avenue between Lee Circle and Poydras Street and adjacent to Lafayette Square). Either location will be great, and if you will be enjoying multiple parades, you might try switching up your location to experience different views. 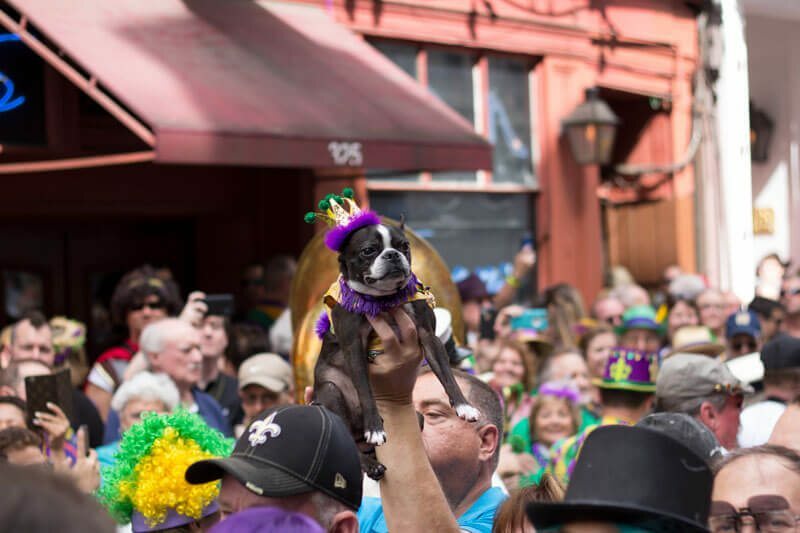 Mardi Gras parades and parties are undoubtedly the main event, but remember to check out other fascinating attractions while you’re in the French Quarter this February. 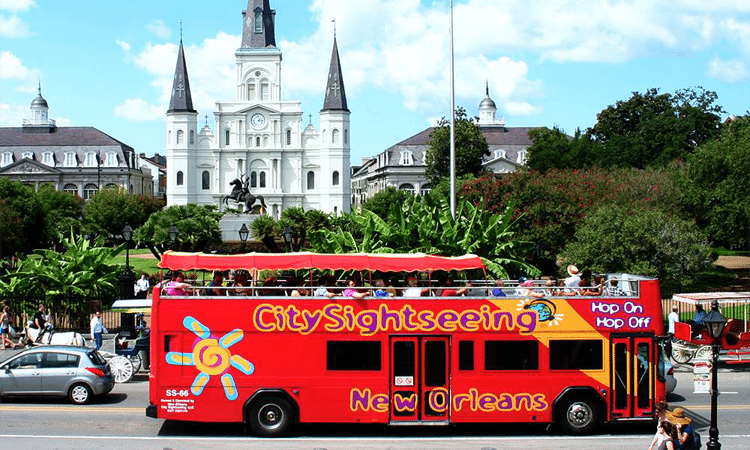 Take a break from catching beads and take the family to see the sights around historic Jackson Square, such as the beautiful St. Louis Cathedral. If you want a behind the scenes look at the city’s culture, stop by Basin St. Station and learn more about the different walking tours you can take, including the St. Louis Cemetery #1 Tour—one of the most popular New Orleans cemetery tours. Then, head over to Bourbon Street to visit some of the top New Orleans live music venues. Tour the city in an open-top, double-decker bus when you hop-on a CitySightseeing Tour Buses. With 18 stops along the route and a new bus arriving every 30 minutes, this is the best way to explore New Orleans. Tickets are $39 for one day of sightseeing. And, for $49, you’ll get three days of unlimited sightseeing and two free guided walking tours of the French Quarter and Garden District. Children between the ages of 3-12, can enjoy any tour for $10. 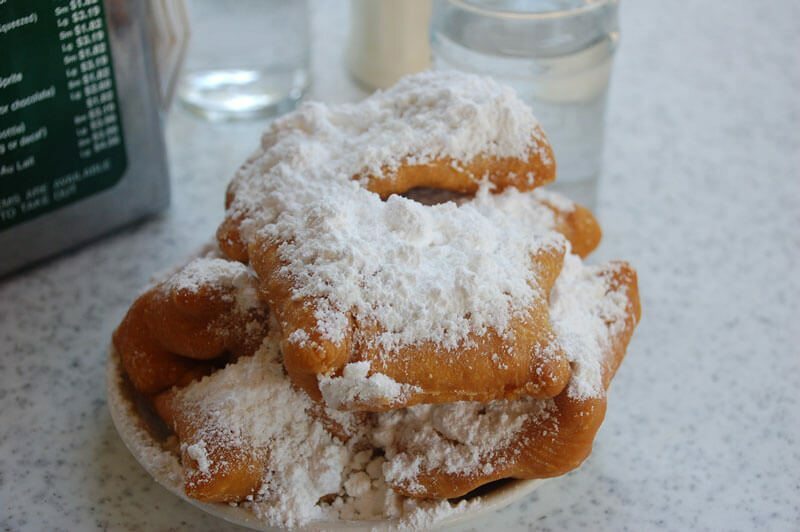 Of course, you’ll want to indulge in the world-famous beignets at Cafe Du Monde and enjoy the one-of-a-kind Louisiana cuisine at renowned French Quarter restaurants. These sweet treats are perfect for breakfast, late night cravings, and basically any time of the day. You’re on vacation, it’s Mardi Gras, and chances are you will be sleeping in. You might miss breakfast, but don’t fret, there are many brunch options to choose from when you’re in New Orleans. Try the Bacon, Brie, and Apricot Crepes or Shrimp and Grits from Cafe Conti (830 Conti Street). If you need coffee to start your day, delight your senses with a searing hot Macchiato or Americano from PJ’s Coffee (501 Decatur Street). With a selection that features several types of whiskey, cognac, tequila, mezcal, rum, gin, and more, even the most discriminating drinker is bound to find something they will love at The Bombay Club (830 Conti Street). You’ll love the Barbeque Fried Oyster PoBoy topped with Bleu Cheese Crumbles and Pickled Onions served with Roasted Potatoes from Vacherie Restaurant (827 Toulouse Street). Killer Poboys (219 Dauphine Street) pushes the envelope with some of its unique po-boys, and if you love shrimp and breaking from the traditional, you have to try their Seared Gulf Shrimp po-boy that features coriander lime spice, Sriracha aioli, herbs, daikon radish, carrot, and cucumber. 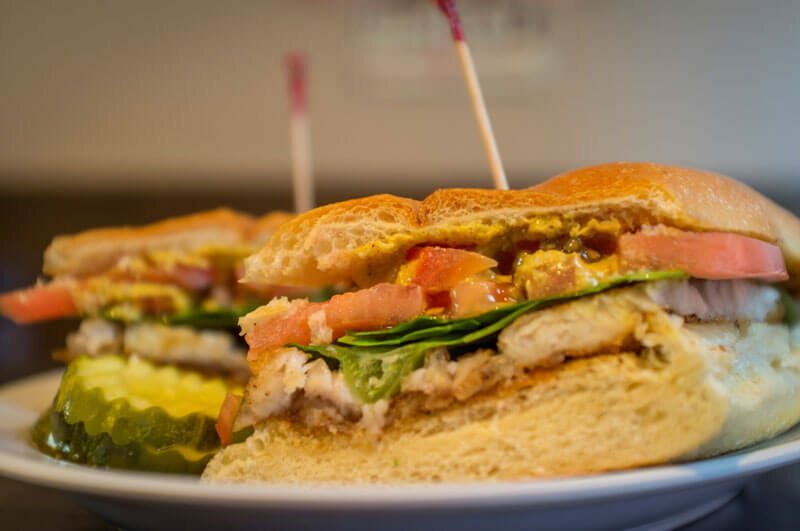 For more ideas on where to find the best po-boys in The Quarter, read New Orleans’ Po-Boy Is A Rich Food Tradition. Widely considered the official dessert of Mardi Gras, this is an absolute must-try if you’re in town for Carnival. Choose from eight different types of king cake at ByWater Bakery (3624 Dauphine Street), including pecan praline, cream cheese, strawberry, custard, and cinnamon apple stuffed cakes. Available in plain, traditional, filled with apple, raspberry, cream cheese, strawberry, or swirl, Wink’s Bakery & Bistro (1218 Decatur Street) serves its king cakes year-round. Well-known for its Italian ice cream, gelato, and espresso, La Divina Gelateria (621 St. Peter Street) offers mini Nutella-filled king cakes. Finished with a shimmering glaze and sweetened with raw cane sugar, king cakes from Sucré (622 Conti Street) are a bit of a visual departure from the traditional, but tasty nonetheless. If you ask New Orleans natives and long-time transplants, a large percentage of them will count Manny Randazzo King Cakes (3515 N. Hullen Street, Metairie) on the top of their list, but you’ll have to trek outside of the French Quarter to get your hands on these cakes and there might be a bit of a wait. Here are all the can’t-miss events happening on Mardi Gras weekend.